Are you stuck what to get the Gardener or ‘Allotmenteer’ in your life for Christmas? You have started making your way through your advent calendar and your suddenly thinking it’s not long until Santa comes down the chimney scoffing as many mince pies as he can in one evening, panic sets in! Well look no further, there is no need to worry or start panic-buying. I have an amazing selection of gift ideas I for one would love to receive, covering different prices ranges. Each trug is handmade and can be painted and personalised upon request.I absolutely love mine! Both kids and adult sizes available ranging from £19 – £22. Last date for Christmas ordering is soon so be quick! Order on Ebay here. This beautiful soap and nail brush gift set is from Lavender and Leeks. Perfect for hanging above a tap to clean dirty hands after a hard days work. Comes packaged in a little brown gift box together. The soap contains ground pumice stone to help thoroughly clean your hands. It also contains natural vegetable oil which is kind to the skin and glycerol which will leave your hands feeling soft and smooth. Ingredients: Sodium Isostearate, Water, Calcium, Fluoride, Glycerin, Fragrance, Tetrasodium EDTA, BHT, FD&C Yellow No.5, FD&C Blue No.1. Order online now for £7.95! Sarah’s beautiful bestselling garden and cookery calendar is out now, with her favourite pictures taken through the year in the garden at Perch Hill. There is a delicious seasonal recipe for every month, plus all the important gardening jobs which you should try to get done at that moment in the year. Order online for just £9.95. I recently did a poll on Twitter asking what my followers had on their wish lists, a dehydrator was a clear winner and it’s easy to see why. Create your own healthy, dried fruit and veg snacks with the easy-to-use Food Dehydrator. Flavours and aromas are preserved and concentrated, and shelf life is extended too. It’s excellent for preserving seasonal fruit all year round to use in your marmalades, jams and salsas. It’s also super for making candied peel and can be used for drying out herbs too, or why not try ‘sun-drying’ your own tomatoes. Basic to high tech dehydrators are available from a range of stores. The one pictured can be ordered online from Lakeland for £49.99. An eco friendly alternative to plastic bags, this is perfect for bringing back vegetables from the allotment, farmers market, or just a trip to the shops. It would make a lovely gift too. 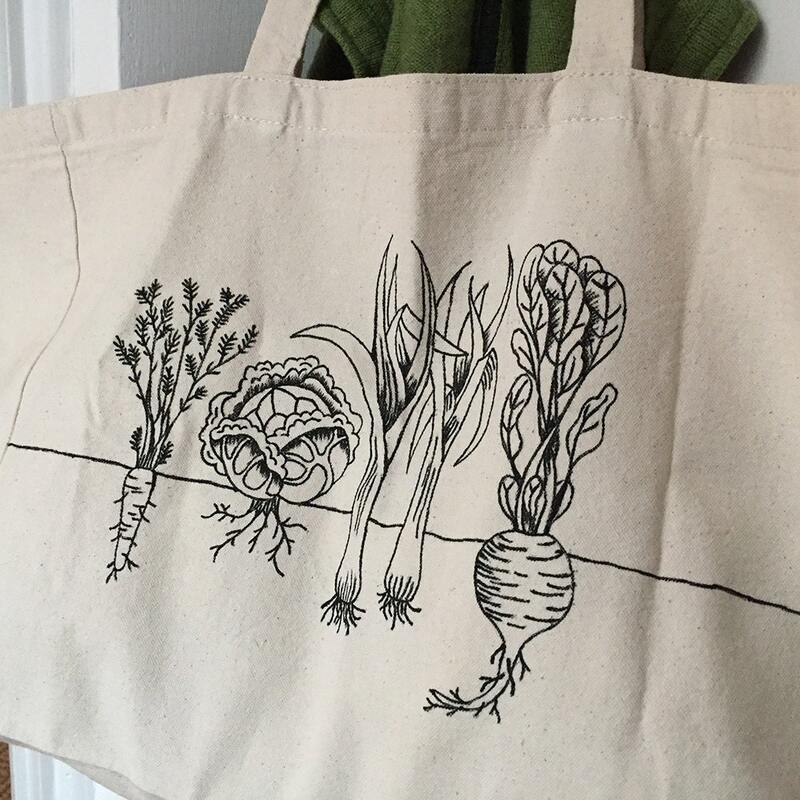 This tote bag is 100% cotton and features a set of 9 vegetables all hand drawn by an amazingly talented lady called Zoe onto the fabric, using permanent black ink. The artwork is all her own and completely unique. Order online from ZoesGardenPrints here for £9 – £14. There is also some incredible framed prints and postcards. Perfect gift for allotment lovers especially for those long cold autumn and winder days! I was very fortunate last year to find a camping stove and kettle similar to those pictured under my Christmas tree last year. They have been treasured and used on every trip to my allotment and I couldn’t be without them now. 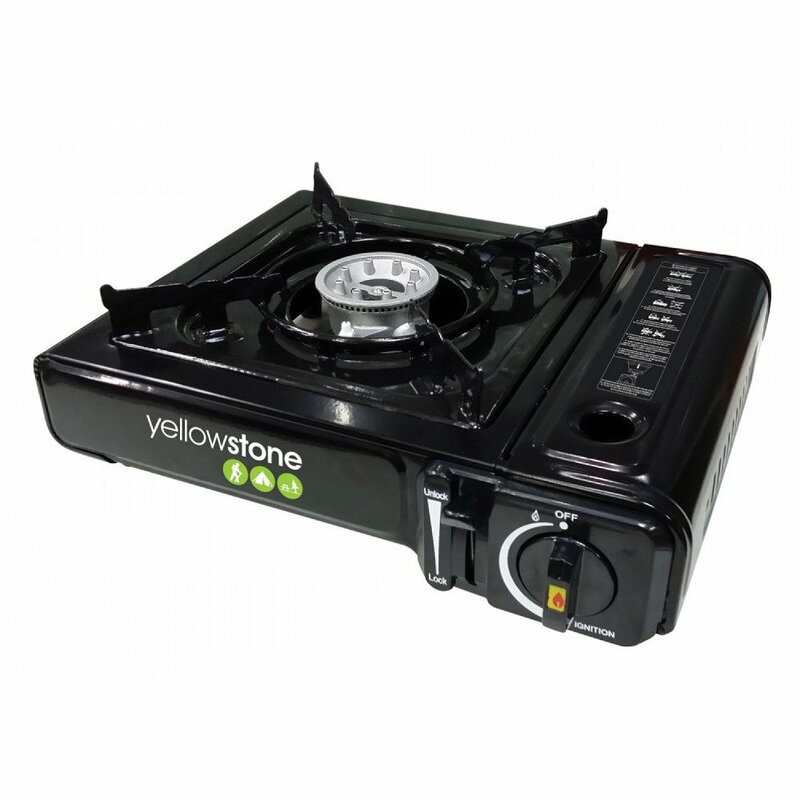 Find this particular stove with rave reviews on eBay for £15.78 including a strong carry case. 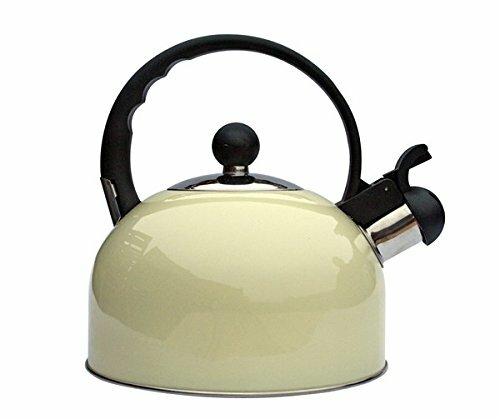 I have this exact kettle, it’s a bargain at £7.84 in a variety of colours which I highly recommend. Purchase here. You can get both for under £20! Get a handle on creative gift-giving with these spectacular plain chocolate secateurs and red chocolate rose. Made with Luxury Plain Italian (64% Cocoa) chocolate, they are velvety smooth with a naturally creamy taste provided by specially selected cocoa beans. The secateurs are the same size as the real thing and a windowed presentation gift box included in price. Order online for £13 now for the gardening and chocolate lover in your life. Another favourite on the poll was seeds and plants, now these can be tricky as gifts as you don’t always know what varieties the recipient would love. Personally, at the top of my list is a Hellebore, also referred to as the Christmas Rose. Particulary the Helleborus Orientalis variety of plants. Maybe try get a few clues or why not pick the vegetable or flowers seeds you would love to try. You never know, they might give you some of their bumper crop in return. Purchase seed packets in garden centres or order online from a number of seed stockists and suppliers, including Groseeds, the small company that gives back when you spend. If none of these catch your eye or you want to play it safe, why not go for National Garden Gift Vouchers, accepted in over 2,000 leading garden centres, shops and nurseries across the UK. I hope you have found something which will become the perfect gift. None of these fantastic gift ideas are sponsored, they are all just favourites of mine. Your list Is well thought out and reminded me of lots of things that I’d be pleased to find under the tree on Christmas Day, particularly the dehydrator – that looks really useful! Also great to see from your Twitter feed that the lady who draws the tote bags has had a boost to her sales!